The ARH team are completely dedicated to delivering first-class customer service. This approach comes right from the top, with Tony Holton, our Managing Director actively involved in client liaison. Our first time fix rate of over 90%, is testimony to our commitment to customer service. ARH Group recognises that the core of our customer service performance is directly associated with the competence and skill sets of our team members. Therefore, the training and development of staff is treated as high priority and is an area of the business in which ARH invests heavily. We believe in providing the best possible service to our clients in relation to any works we are required to carry out, the only way this can be achieved is to ensure we have highly motivated staff with the necessary skill sets to carry out professional work to a high and consistent standard. Our 24/7 customer service helpdesk is an important part of our service offer. 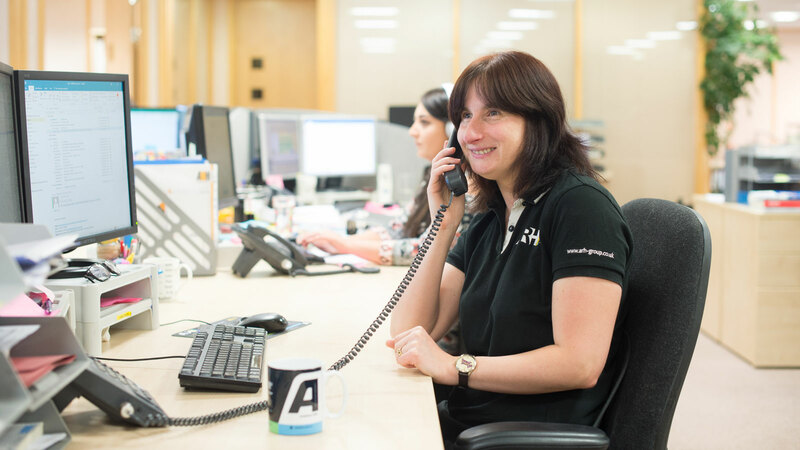 The helpdesk is operated by friendly, experienced and knowledgeable members of the ARH team, ensuring reactive maintenance and emergency issues are dealt with quickly and efficiently. The helpdesk is able to locate, via vehicle satellite tracking, and mobilise ARH’s closest multi-skilled engineer as quickly as possible to resolve any issues. Maintaining and sharing, testing, inspection and compliance documentation is a fundamental part of managing our relationships with our clients. This process is effectively managed through our Client Portal, where clients are able to source documentation online at a time of their convenience. The ARH Client Portal provides customers with an individual log-in and enables them to access all documentation and certification through any Internet connected PC. A fully customisable format enables each client to structure their information in a manner that suits their requirements. Alterations are possible in real time to ensure that the clients’ needs are always met in an ever changing industry. Information is securely held off site in a specialist Data Centre and backed up to ensure optimum protection. All clients can specify exactly what information they require to be hosted, from compliance certification through to a fully comprehensive interface detailing quotations, contracts, performance reports, schedules and much more. ARH works across the widest range of commercial sectors. See how we can support your business. Why not take a look at some of our latest projects.